Home Beauty 365 days without makeup – how is that, Ria Sharma? 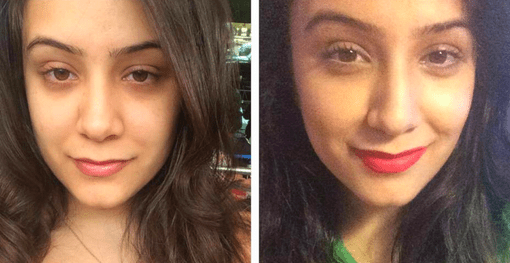 365 days without makeup – how is that, Ria Sharma? I have just spent one whole year without even as much as a trace of makeup on my face. Now that it’s over I could say it was easy but when I look back on it, there were definitely a few obstacles that I had to overcome. The initial few days without makeup were rather easy because I don’t think my mind had grasped by then that this was actually a yearlong thing. The first few times that I went out without makeup I couldn’t escape some daunting questions that not only broke down my already low self esteem but completely shattered it as well. People would ask me if I had been on drugs because my skin looked pale (I have naturally pale skin) and I would often get asked if I was tired. God forbid I was about to get onto my period and got a few pimples and the mockery would begin all over again. One doesn’t decide to quit makeup and feel this sudden sense of empowerment because we are all human at the end of the day; we all want to look the best that we can. I could deal with taunts and I could deal with all my pretty friends getting more attention than me but there were days I would go home and feel absolutely judged. 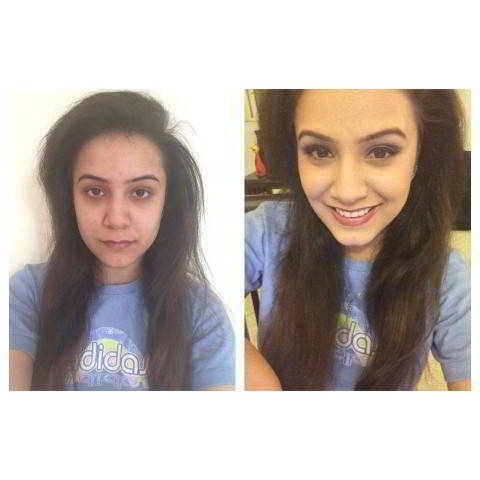 My friends would make statements like “oh put on a little concealer, concealer is not makeup!”. I would laugh at their ignorance but mascara apparently wasn’t makeup either. Then came the critics who would claim nail polish was makeup and I would beg to differ to that one. I have spent one college graduation, one birthday, one New Year, one award ceremony and a few weddings this year without makeup. It’s really the big occasions that make you miss it but thank god Holi didn’t demand makeup! This year only made me realize the absolute cult culture that surrounds makeup. I saw girls as young as 11 and 12 wearing makeup and it highlighted such a large issue. Society conditions us to be a certain way and if we don’t fit in then we are out casted and beauty standards happen to be 1st on that list of fitting in. Young girls around the world face judgment on the way that they look, they are held up against absurd beauty standards and this obsession with trying to look even better really does have a mind of its own. It was sad to see how desperately everyone wanted to just fit in and there I was, the girl with the pimples. My one year of not having to subject myself to these standards only made me see how insecure everyone had become. For the first 6 months I was probably more insecure than anyone that wore makeup because I felt naked in a certain sense, I would get ready to go out and I never felt complete. I would joke about how at least now I could get ready in 15 minutes but inside I was constantly fighting this battle with myself. I never felt good looking, when I looked at myself in the mirror I only felt disgust at the way I looked and it really did bring down my level of confidence significantly. In a city like Delhi where every second girl is more dressed up than the last, I would feel absolutely insignificant. About 6 months into my journey I decided to stop hating on myself. I had decided that I couldn’t change the face I was born with and if I had decided to take on this challenge, I couldn’t hate myself for doing it either. When I decided to do this, something amazing started happening. I stopped being insecure about my looks, I started realizing that I didn’t need anything or anyone to make me feel better about me and most importantly I realized why this was so important. Initially I wanted to go without makeup because I felt fake when I preached to my survivors that they should walk around without a veil while I walked around decked in makeup. Now I feel like I know how my survivors actually feel. Makeup was my identity; it was how I saw myself and its how other people saw me. When I got rid of that layer of who I used to be, I finally connected with who I actually was. I felt like I had lost my previous face in a certain sense and through this year, I learnt how to love my true self. I learnt how to love myself for who I was and how I looked opposed to how I could or should look. A lot of people thought that my move was a bit extreme and only now do I realize that there is absolutely nothing extreme about getting rid of makeup. I think it’s safe to say that I wasn’t approached by too many boys during this time but at least the ones that did want to talk to me, spoke to me because of me and not because of who I portrayed myself to be. Thanks to this year I have acquired a new level of self restraint, I have learnt to not judge a book by its cover and to actually concentrate on the things that matter. Our society has set such high standards for what you should look like that I think we forget that its on the inside that matters too. We constantly chase the “right look”, “the daytime look”, “the night time look”, I think its time we concentrated on inner beauty because without it, it won’t matter what you look like on the outside. On a lighter note, i am glad i at least have the option to not look like i’m extremely tired all the time.